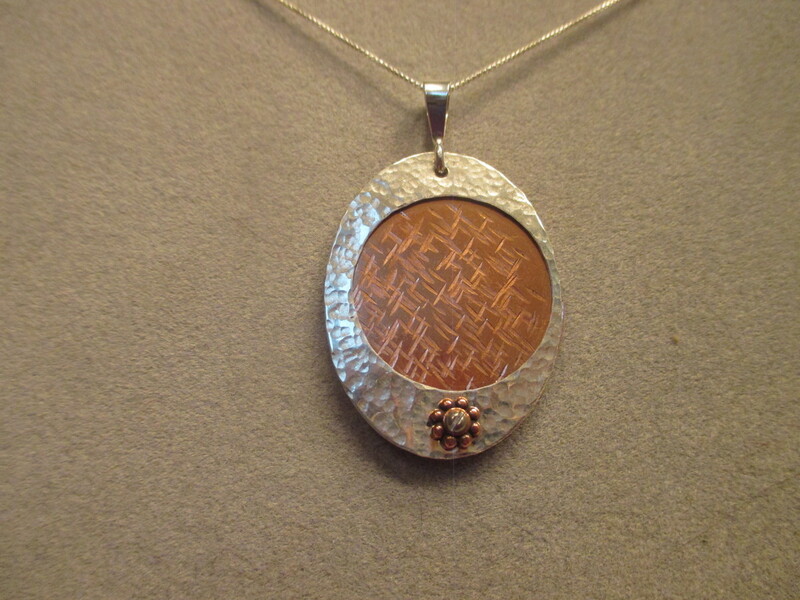 This necklace has an oval copper piece that is framed by an oval design of sterling silver. Both pieces have been hammered in a different design. The pieces are attached together by the bail and a tiny rivet at the bottom. It is about 2" x 1 1/8". The pendant will come on a 20" chain. Other lengths of chains are available.